This is a question that will bring different opinions. Some, in their prayers, speak to Satan all the time. Others warn against it. 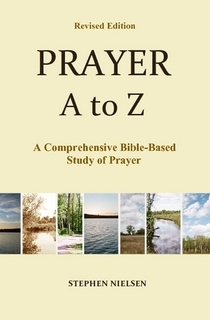 Here is an excerpt from my book, Prayer A to Z, on this subject. Please tell me what you think. Now, in the battle, if you are counting on being victorious, especially if you want to pull many souls out of hell, you must increase your prayer efforts. Plan on spending more time in prayer, and be more serious in your prayers—fast, and cry out to God for all the burdens He puts on your heart. Likewise, don’t worry about what to pray for. If you plan the time slot to pray, God will give you more than enough to pray for. Moreover, He will direct your prayers each step of the way. And when it happens in your prayers (and in your counseling) that Satan comes against you and tells you lies, don’t be surprised and don’t quit praying. Also, don’t give into him or run away. 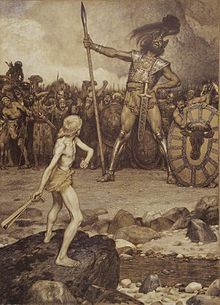 Like David against Goliath, speak back to him and run to the battle line to meet him! Wow! David certainly wasn’t at a loss for words. And when Goliath drew near him, verse 48 says, “David ran quickly toward the battle line to meet the Philistine.” And he stuck him dead with a single stone and cut off his head! [When Satan attacks us] do nothing but this: cry to his Master against him…set the mighty One upon him. He who accuses you, refer him to your Advocate. When he brings your sin before you, throw the blood of atonement in his face…Quit battling with the wily foe. Do not answer the old deceiver. If he tells you that you are utterly lost, acknowledge it. Then cast yourself at Jesus’ feet, and he will overcome your foe and set you free. This entry was posted in Prayer A to Z Excerpts, Vigilance in Prayer, Prayer Warfare and tagged prayer, prayer warfare, prayers, Resisting Satan, Satan. Bookmark the permalink.